Anthony Martial impressed on his return to the Manchester United starting line-up, scoring one and providing the other as Jose Mourinho's men comfortably overcame Watford. The player started brightly when he arrived from Monaco but has struggled to recapture that form this term, with his lack of game time leading to questions over his happiness and Old Trafford future. Martial this week took to social media to dismiss the rumours and let his feet do the talking upon with a starting role against Watford, setting up Juan Mata's opener and scoring a smart second to secure a 2-0 win on Saturday. It was an important victory as the race for the top four heats up and extended United's unbeaten Premier League run to a 16th match - their longest run since Sir Alex Ferguson retired. 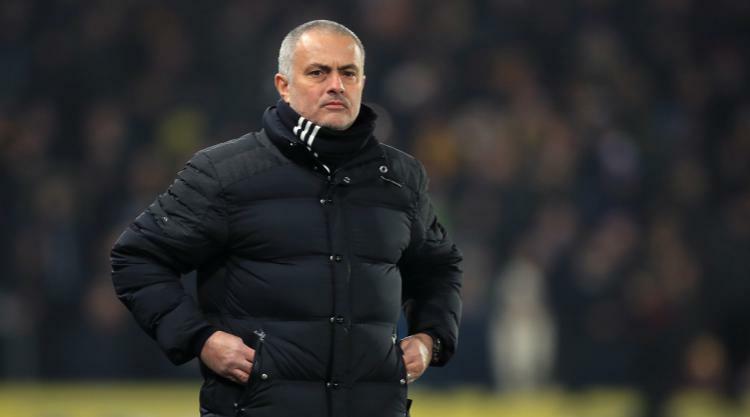 Walter Mazzarri's Watford had started encouragingly enough at Old Trafford but there was to be no repeat of September's memorable win as the home side upped the ante, with Mata turning home at the end of an impressive team move. Martial provided the cross and then United's second in the 60th minute, showing impressive belief and coolness to turn home at the near post having been reduced to a watching brief for the last two matches. The 21-year-old was one of two changes for the first United match since the 59th anniversary of the Munich air disaster, with players wearing black armbands in memory of those that died. The late Graham Taylor was also remembered by Sir Alex Ferguson in the programme for a game that Watford began adventurously. Troy Deeney was flanked by exciting January signings M'Baye Niang and Mauro Zarate, with the latter frustrated by the former trying his luck from the edge of the box rather than playing him through. Jose Holebas flashed a left-footed strike just across the face of goal and Zarate saw an overhead kick saved in an open start to proceedings, but it was far from one-way traffic. Henrikh Mkhitaryan and Zlatan Ibrahimovic failed either side of Martial's blocked effort, with Heurelho Gomes producing an acrobatic stop to claw away a 30-yard attempt by Paul Pogba. A close-range tap-in was chalked off by referee Robert Madley as United kept the pressure on, with Ibrahimovic firing over following a super pass from Pogba, who was then denied by the in-form Gomes. The Brazilian superbly thwarted Ibrahimovic after Ander Herrera and Mkhitaryan missed the target, but there was little the Hornets goalkeeper could do to prevent United's classy 31st-minute opener. Having sent a neat flick into the path of Mkhitaryan, Mata darted into the box and turned home Daley Blind's low cross on the edge of the six-yard box. Etienne Capoue saw penalty claims waved away in a brief break from United's dominance, which continued towards half-time as Mkhitaryan and Martial were frustrated. The latter was impressing on his return to the starting line-up and had Watford worried within two minutes into the restart, flying down the left and firing across the face of goal. Martial was proving a handful and, after David De Gea produced a fine save to stop Zarate's 25-yard free-kick, increased United's advantage in the 60th minute. The 21-year-old burst into the box with pace and intelligence, cutting back and tucking a shot into the near post to the delight of the Stretford End. It was just reward for United's attacking intent but Watford were threatening at the other end, with the stumbling Deeney hitting wide and forcing De Gea into action either side of a threatening Niang cross. Ibrahimovic and Mkhitaryan had shots saved at the other end, as did Marcus Rashford after replacing Martial with 10 minutes remaining. United top scorer Ibrahimovic failed to add a third, turning an unorthodox strike wide, on an afternoon that saw United become the first team to win 2,000 points in the Premier League.